Verbiage [vur-bee-ij] Noun. Manner or style of expressing something in words. Registration: The 2015 Clean Eating Challenge date is TBA. Stay tuned! Duration: The challenge will last for 60 days. Who can participate: The 60 Day Clean Eating Challenge is for EVERYONE! Whether or not you are a member of Vette City CrossFit, our goal is to help anyone who is ready for a change. We want everyone to feel the difference when you eat clean and rid your body of unhealthy toxins of sugar and processed foods. What are you waiting for?? No excuses! 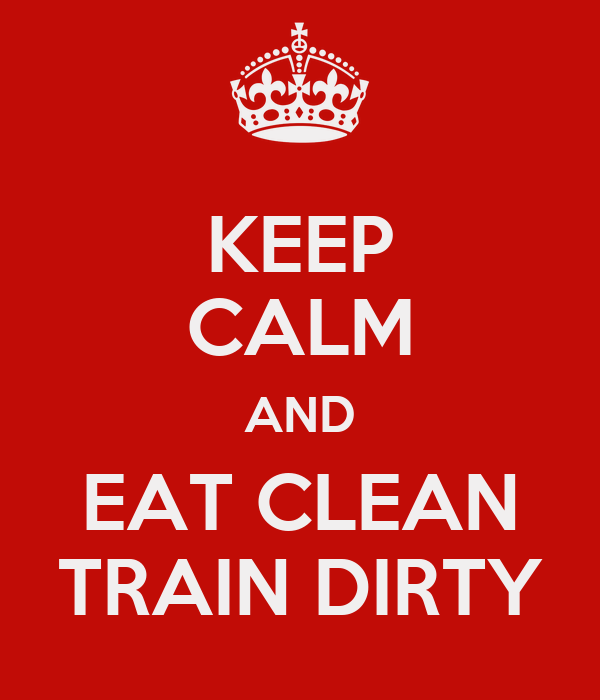 The “Eat Clean Train Dirty” Challenge, will be kept SIMPLE. We are not going to ask you to try some crazy diet. All we want you to do is…..Eat Real Food. Yep, that’s it! What does that mean and what does that look like? Basically, if man made it, don’t eat it. Does this mean we are sticking to a strict Paleo Diet? Well, that is up to you. Some of you may choose to eat dairy. Strict Paleo eaters choose not to eat dairy of any kind, because it can cause inflammation, acne, allergies, and more. We recommend that you try the 60 day challenge without dairy and see how it affects you. You can choose to add dairy back into your diet after you have detoxed and eliminated them for 60 days. After eating clean for 60 days you will have a good idea of what your body can and cannot tolerate. You will also see what it feels like when you fuel your body with clean nutrients. It’s Amazing! We are excited to see what eating clean will do for you! 1. Your weight, body fat percentage, and other measurements will be taken at the gym on Day 1. Then, 60 days later you will repeat this process to see your transformation. 2. You will participate in a PreWOD and PostWOD to identify an increase in performance. 3. You must keep a food journal to record how closely you followed the recommendations of clean eating. This will also be beneficial if you’re not getting the results you think you should be getting, because a coach can review your food log. They will be able to give you new insights to unhealthy eating patterns and behaviors and create the opportunity for you to alter/change those patterns. 4. There will be a $25 buy in for the contest (Remember, you can still participate in the challenge for free, but that means you will not have a chance to win the contest). The winner will be the person who has lost the highest percentage of their body fat percentage. Say what?? Click here for a more detailed explanation. Prize: Vette City CrossFit will contribute a One Month Membership of Unlimited Classes (a $120 value) to the winner. The winner will also receive the pot of money, as well as bragging rights…until the next challenge. This will be a fun opportunity to get a great healthy start to the year. Good luck and let us know if you have any questions!